To make a donation to Riding for the Disabled Association Westmorland Group Limited, please contact Karen Barnes, Treasurer, tel: 07766 362173 or send an email via the contact page. 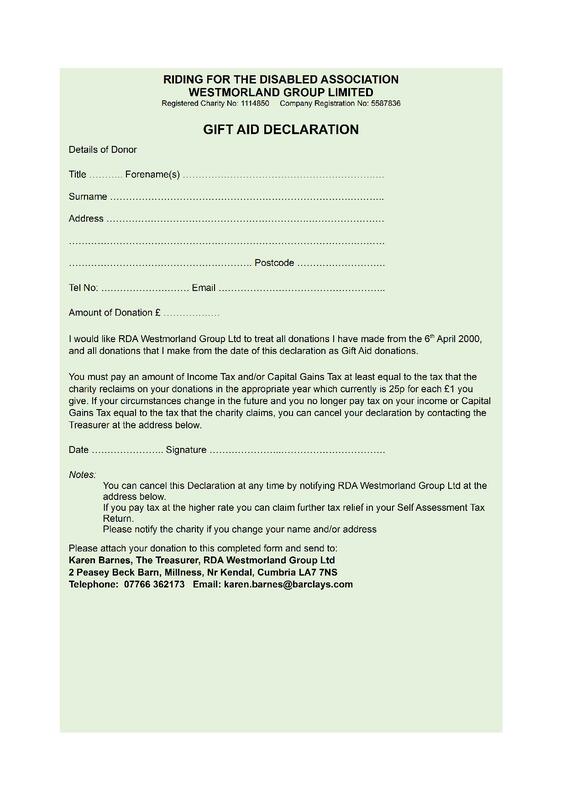 Alternatively you can print the form below and send it with your donation to the address shown on the form. Thank you.